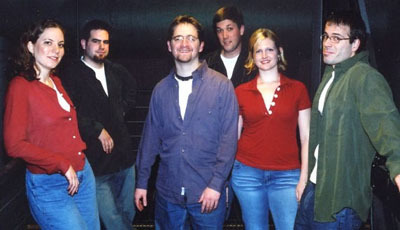 Similar Jones is a high-energy Boston-based vocal band with a strong, dedicated, and ever-expanding New England following. Can't Get There From Here is their CD. The Jones sound is marked by tight harmonies, intricate rhythms, innovative arrangements, and -- most importantly -- by a rock-solid groove. Sample the eight tracks below. So It Seems (2004) -- written for Similar Jones by friend Samrat Chakrabarti, updated for their new sound.